Crumb Cafe is one of the best at the Bay. Photo: Somersault Media. 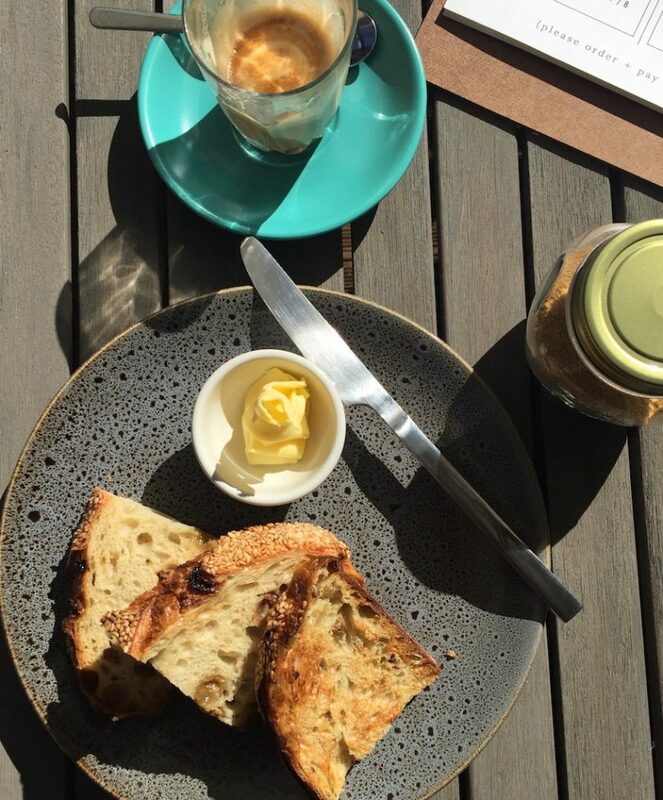 From Batemans Bay to Moruya, get off the main drag this holiday season and explore the best food, the best coffee and the most fabulous flavours on the Eurobodalla Coast. We recently enjoyed one of the best coffees and best breakfasts here. Perfectly textured latte and no need for an extra shot. Just delicious. We couldn’t resist a Crumb breakfast, the meals looked so delicious going past us for hungry holidays makers and locals. The mushrooms on toast with a soft poached egg, pickled fennel, turmeric dukkah, lemon, fetta and elkhorn lettuce was sublime. Breakky is served until 11.30 and then it’s on to burgers, BLATs steak sandwiches, and veggie salads with loads of gourmet touches like pickles, crumbs, relishes, exotic fruit and nuts, Highly recommended. Tribe is a new cafe on the road to Catalina at Bateman’s Bay. Photo: Somersault Media. New café in the Bay on the road to Catalina, opened early December. 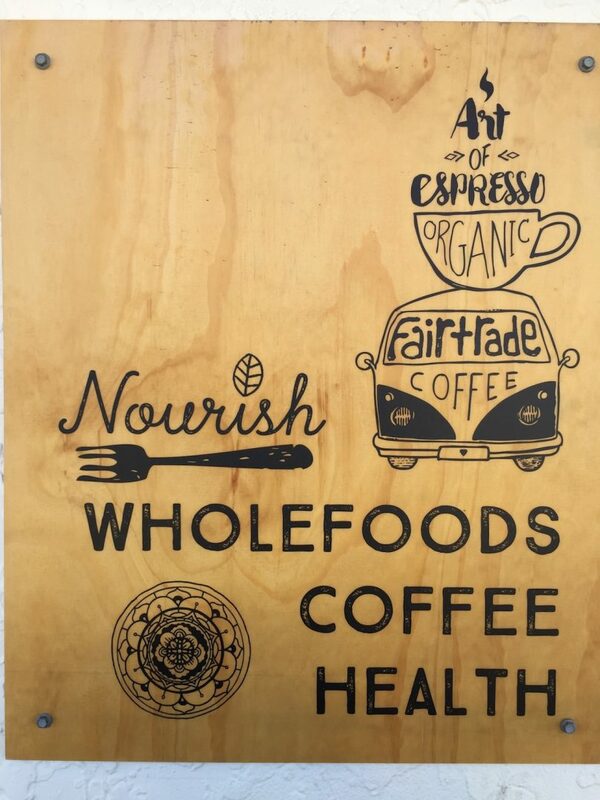 Serving locally roasted coffee from The Venetian, a variety of Honorbread product, organic teas, smoothies and kombucha. 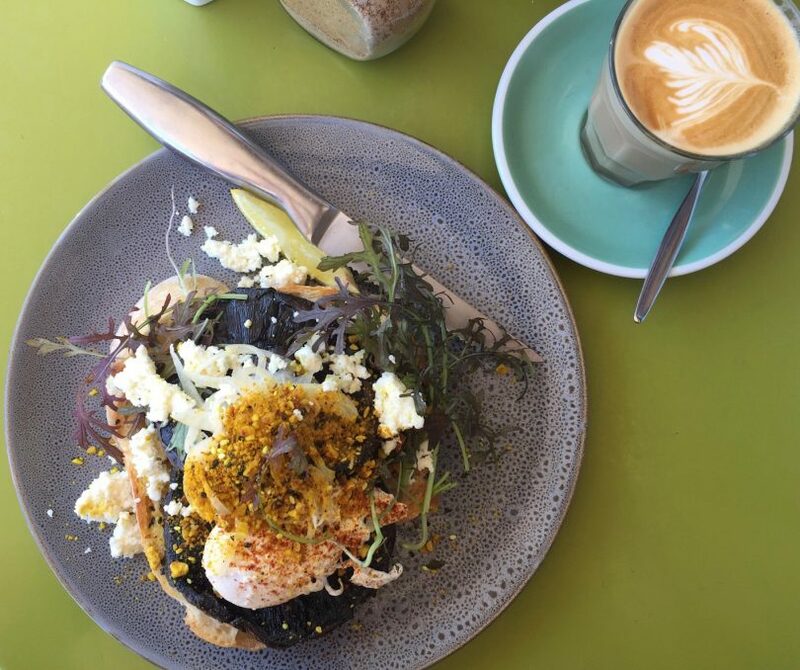 Coffee was strong and tasty, and a great choice of egg dishes on the menu too, like Eggs of the Universe, a Tribe breaky roll and Eggs in Camicia which is eggs with grilled asparagus, pepitas and whipped lemon fetta on sourdough. There are Italian panini for lunch and pork belly buns or daily salads. A calm minimalist interior and a rear paved area where you can sit and listen to the peacocks and maybe glimpse Bambi through the trees if you’re lucky. The focus at Nourish cafe is on healthy and wholesome food. Photo: Somersault Media. Found it due to the beautiful fringed umbrellas on the street shading heaps of locals just off the beach. Beautifully stocked cabinet full of healthy salads, grains and pulses, fat Turkish sandwiches ready for toasting and vegan delights. The menu is enticing: big breakfasts, vegan French toast, and your avocado toast comes with sautéed super greens. We had a very good latte sitting up at the window seat and followed up with a peppermint liquorice Kombucha straight out of the tap. How fab is that? Friendly, welcoming service and good vibes here. The Mossy Cafe takes pride in its locally sourced, in-house menu. Photo: Somersault Media. Mossy Café is big, busy with a bold menu. Much of the product is made in-house, sourced locally and they pride themselves on knowing where everything comes from. The excellent all-day menu is eclectic, offering sourdough breakfasts, burgers and pork belly bennys, Mossy bowls of granola, smoothies, or Mexican salsa laden salads, Korean style bowls and Pokes. 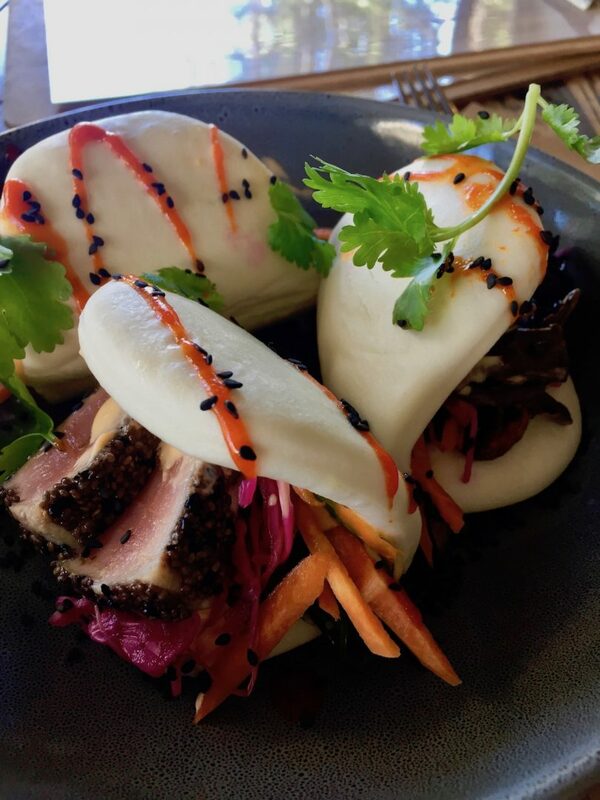 We can’t go past a Bao, the Chinese steamed bun that is slowly taking over the world… and 3 ways? Yes please. Loads of fresh pickles and dressings with tuna, roast pork and confit mushrooms. We would absolutely recommend this dish. There was a band playing on the back lawn when we visited and the vibe is relaxed hustle. Vegans are well looked after here. Relax and enjoy. Broulee’s Single Fin has a retro vibe. Photo: Somersault Media. Walking into Single Fin is a bit like coming home. Fake lawn, fringed umbrellas and surfboards adorn the interior. Sit back in a sun lounge and check out the retro fit-out, where every corner is a cute vignette of surfboard bits, retro shell-pictures and camera parts. A very welcoming vibe. Coffee is roasted for Single Fin by a local Italian family. Our lattes were delicious with well-textured milk and a good strong shot. They have a selection of gelato from Kiama producer The Pines, also pastries and bircher muesli in the cabinet, and perhaps the best ever sausage rolls made in-house. A very happy place in beautiful Broulee. Does Alfresco at Moruya have the best house roast on the coast? Photo: Somersault Media. This café is a bit of a coffee temple. 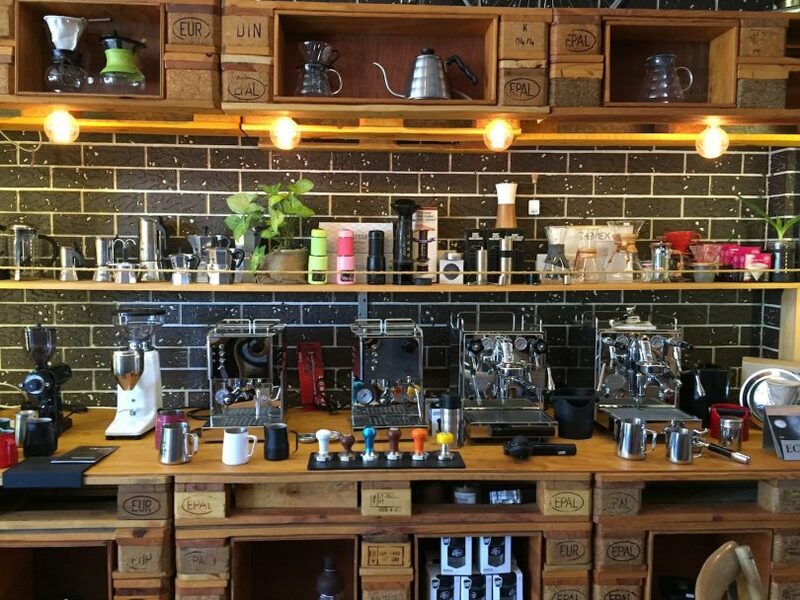 You are surrounded by a huge range of machines, filters, plungers, presses, drinking vessels, beans, and a wall of tea. We had heard about the Black Cyclist blend so ordered that, and our single shot lattes were bloody good. Yes, strong, sweet, dark, good temperature and smooth texture. Alfresco is a lovely space decked out with shiny black tiles, with a view into the roasting room and a big serving window out on to the street where locals leaned and chatted. 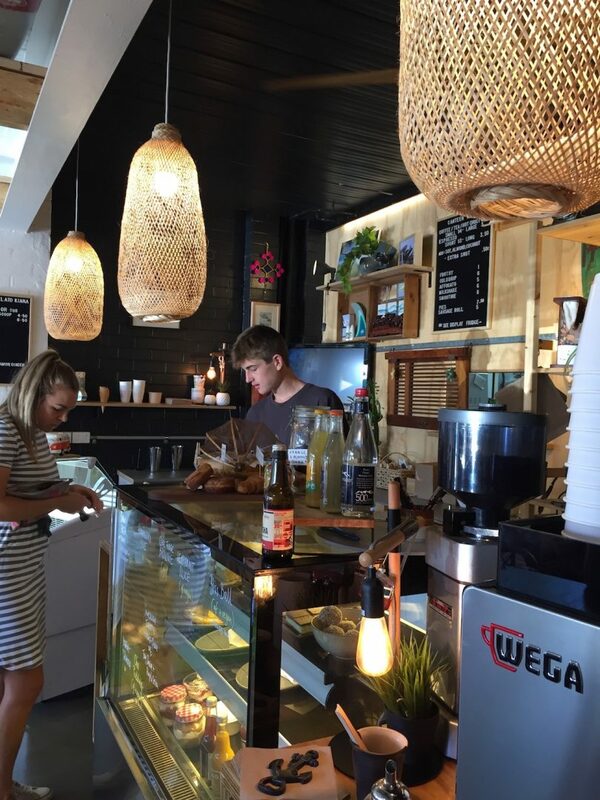 Is this the best coffee on the coast? Perhaps. We will be back to check that. Do you have any Café suggestions between Bateman’s Bay and Moruya? Tribe is awesome. Have eaten here twice for lunch in the past week. Great paninis and fantastic salads. Well worth popping in. Antoinette Skinner let Davide know! Belinda... congratulations! Well deserved accolade for The Mossy! Is it wrong to have preferred the Mossy Café when it was just the Muffin shop.